This accent cabinet is the perfect way to add style to your home. 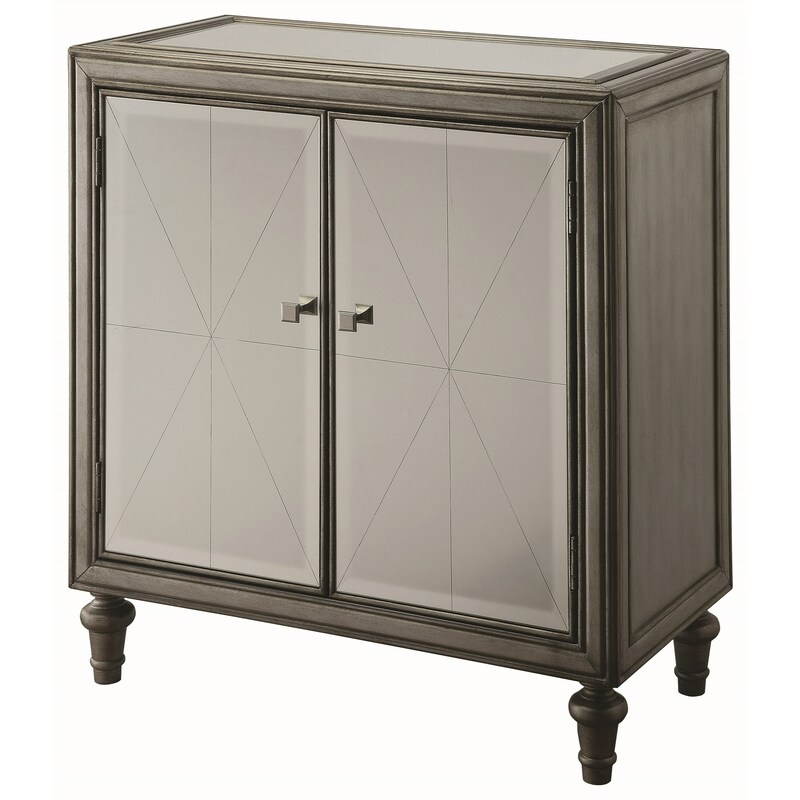 The cabinet has mirrored doors and a sleek silver finish on the frame. Behind the doors are two shelves, one of which has a removable wine rack. The Accent Cabinets Glamorous Mirrored Wine Cabinet by Coaster from Nashco Furniture - Nashville. We proudly serve the Nashville, Franklin, Brentwood, Clarksville, Green Hills, Davidson County, Williamson County, Tennessee area. Product availability may vary. Contact us for the most current availability on this product.